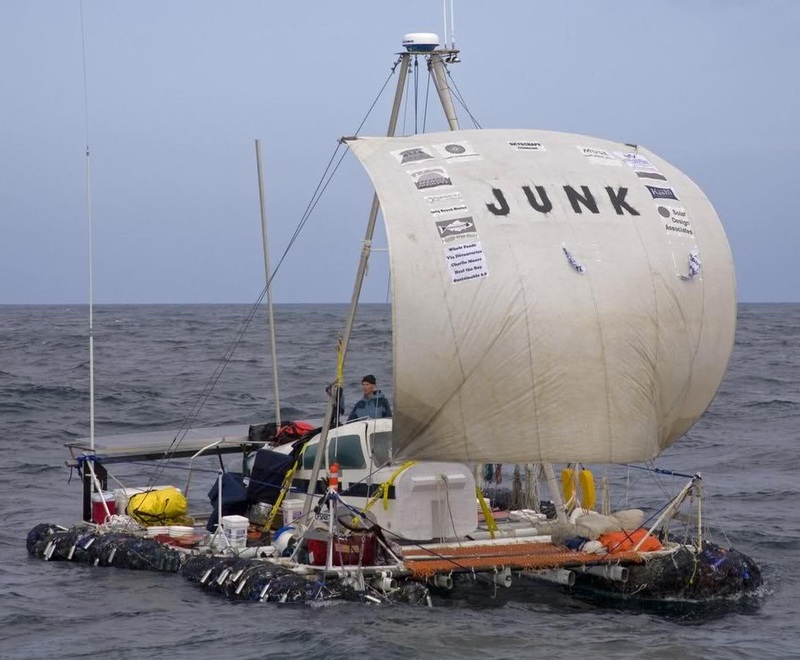 Your task:Floating on a junk boat! In teams of roughly 3-5 students, you are to create a floating vessel by primarily using found objects laying around the room or your house. 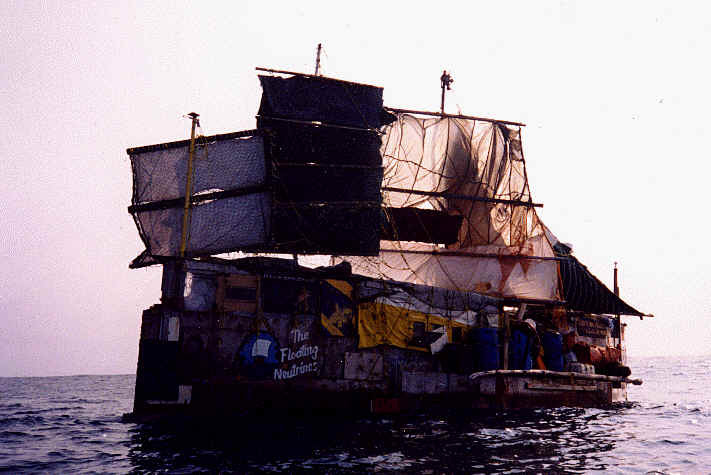 These boats... rafts, etc can be held together with whatever adhesive/tape/plastic wrap strategy you can think of. These boats should be more than just functional- they should also be aesthetically pleasing. Come up with a name for your boat and let that guide your team's visual direction. At the end of this project, we'll critique our vessels by taking them down to the Holmes Junior High pool and racing them! First one to make it across the width of the pool (down at the shallow end!) wins. If no team has gotten their vessel across the width of the pool, which ever team goes the furthest in 5 minutes is the winner. Projectiles like makeshift harpoons or spears are strictly prohibited. However, buckets and water guns used to sink your opponents boats are strongly encouraged! An article we read about Swoon and her rascally﻿ boats. Two really good examples of artists doing some amazing... just because they can. Raising awareness about waste, pollution, the environment, and global warming. Click on the title or the picture to find out more about these amazing vessels.